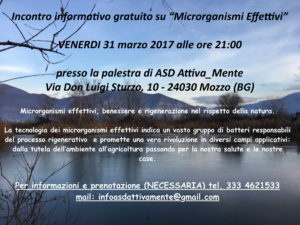 Microrganismi effettivi, benessere e rigenerazione nel rispetto della natura. La tecnologia dei microrganismi effettivi indica un vasto gruppo di batteri responsabili del processo rigenerativo e promette una vera rivoluzione in diversi campi applicativi: dalla tutela dell’ambiente all’agricoltura passando per la nostra salute e le nostre case. by Sarah Sessa, BSc, MCSP, MHCPC, Pilates Instructor & Karen Pearce, Pilates Instructor and Teacher Trainer. In the Fall/Winter 2015 issue of Balanced Body COREterly we discussed the use of Pilates in the management of Parkinson’s. The article described the disease process and how function, movement and mobility can be affected. We went on to briefly review available scientific evidence regarding exercise in the management of Parkinson’s followed by a consideration of the Pilates exercise regime and the positive effects it may have for this population. Over the past few years we have had the pleasure of working with a large number of people with Parkinson’s and have seen how our individual programs that work specifically to address the motor symptoms of Parkinson’s produce positive effects. We concentrate on aspects of posture and gait such as increased thoracic flexion, decreased spinal rotation and decreased arm swing using both mat and machine exercises. Not only have we observed positive changes and used therapeutic outcome measures to demonstrate these changes, but our clients report improved flexibility, strength, mobility, balance and an increased sense of well-being. Inspired by our clients’ determination and a need to fill a void, we put pen to paper and are excited to have finished our book, Pilates and Parkinson’s. It’s aimed at people with the disease but especially those in the early stages who are looking for an exercise regimen that will keep them strong, flexible and as mobile as possible. When first diagnosed with Parkinson’s, formal physiotherapy input may not be necessary, but exercise incorporated into a client’s routine will be very beneficial. Pilates is widely available within the general fitness industry and the rehabilitation setting making it easily accessible and a valid option for people with clinical conditions. In February 2011 Ray, age 65 and retired, presented to his GP with a tremor of his right hand. He was diagnosed with early stage Parkinson’s, but no medication was indicated. Ray decided to come to us for a suitable Pilates regimen to increase flexibility in stiff joints and muscles, as well as maintaining his mobility and balance. He wanted to be as proactive as possible in managing this diagnosis and to stay in good physical condition in order to carry out his outdoor tasks with greater ease and less discomfort. Ray lives with his wife and they are both very active with two donkeys and a large garden and field to tend to. When we assessed Ray we found him to have a tremor of the right hand, tightness and weakness of the right shoulder (with restricted movement), decreased hip mobility and weakness of the surrounding muscles, decreased core stability around the right side of his trunk, tightness of the right hamstrings, decreased ankle mobility, particularly on the right, poor trunk rotation and arm swing when walking, and a stiff neck which he held in a poor position with his chin poking forwards. From these findings we saw that the muscles on the right side of his body were affected most by the Parkinson’s. Ray also reported that on occasion he “froze” when reaching an obstacle or doorway. We designed a Pilates exercise program to improve joint mobility and muscle flexibility that also got Ray up into standing to work on his balance. Initially the program was designed by the studio physiotherapist, but was then taken over by another Pilates Instructor who was experienced in the management of Parkinson’s. This instructor saw Ray in his own home so the program was mainly mat work. Initially Ray was reviewed every three months by the physiotherapist where an assessment was done of joints, muscles and balance so that any changes could be noted and the program altered accordingly. With Ray we particularly worked on shoulder mobility using exercises such as pelvic tilts with arms, the windmill, chicken wings on the roller and the dumb waiter. We wanted to increase thoracic spine mobility so he did exercises such as Cossack arms, bow and arrow and side lying arm openings. To strengthen his hips we gave Ray the side lying leg exercises. We really noticed that initially when Ray did the prone swimming exercise, he couldn’t lift his left arm up off the floor, as if it were stuck down with superglue! We felt this was because he lacked stability around his right abdominals and pelvis so we worked on all the pelvic stability exercises incorporating movement of arms and legs. For example, we had him do single leg stretch, which was also great to lengthen his hamstrings, and 4-point swimming. Ray’s ankles were tight so we made sure he was stretching these at the end of his sessions as well has manually mobilizing the joints of his feet during physiotherapy sessions. We also worked on Ray’s neck, giving him lots of gentle neck rotation and neck retractions using the small inflatable ball, as well as back stabilization exercises in sitting and prone. As the weeks and months went by Ray noticed that he became more flexible and strong. At his 10-month physiotherapy assessment Ray now had full range of movement of his right shoulder, his ankles were much improved and he was able achieve child pose or back stretch comfortably. He was now able to get his lower back on his heels, whereas before he never could. When Ray did the prone swimming exercise he could now lift his left arm off the floor with ease—not like before where it looked as if it weighed a ton. Ray was also pleased that the job of mowing his field, which had taken several hours and had left him with stiffness and pain for days, now took only a couple of hours and he was left with no discomfort. He no longer experiences freezing during walking. Ray continues to have weekly Pilates sessions and enjoys the challenge of more and more inventive exercises. With regular review (now only every 6 months) from the physiotherapist, we also keep a check on his balance and mobility, making sure he can step in all sorts of directions, patterns and speeds, even dual tasking if necessary! At Ray’s yearly appointment with the neurologist in June 2014, Ray showed almost no deterioration since his diagnosis in 2011. To say he is pleased is an understatement and we look forward to getting more great results as we continue our work with other clients. “Pilates and Parkinson’s” by Sarah Sessa and Karen Pearce is published by Muswell Hill Press, London and is now available. Indicato alle donne in gravidanza e dopo il parto, in menopausa e a tutte le donne con i sintomi.